Fuze today announced that it ranked 290 on Deloitte’s Technology Fast 500™, a ranking of the 500 fastest growing technology, media, telecommunications, life sciences and energy tech companies in North America. 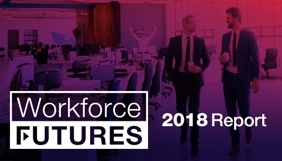 With the enterprise cloud communications and collaboration market accelerating, Fuze sustained a leading voice in the future of work conversation, releasing the 2018 “Workforce Futures: The role of people in the future of work” survey, which highlights changes in employee attitudes around the need for a ‘work-as-a-service’ approach. In addition, Fuze further expanded its global partner program with leading SaaS companies that service the enterprise. More recently Fuze announced enhancements to its mobility platform, which empowers the mobile worker with added flexibility and control, and to Fuze Rooms, complementing Fuze’s voice, video, and conferencing experience. The company also introduced Fuze Discover, providing deeper analysis of communications and collaboration data, enabling enterprises to identify and explore trends to guide strategic business initiatives. Fuze is a global cloud communications and collaboration software platform for the enterprise. Through an innovative and consumer-inspired unified experience, Fuze enables seamless transition between voice, video, messaging, and content sharing. 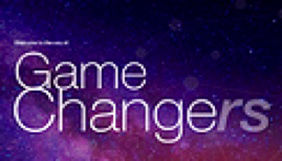 Fuze empowers the digital workforce anytime, anywhere, and across any device. Headquartered in Boston, MA, Fuze has additional locations including New York, San Francisco, Seattle, Ottawa, London, Amsterdam, Aveiro (Portugal), Paris, Munich, Zurich, Copenhagen, and Sydney. For more information, visit www.fuze.com.